We went to Salida, Colorado for a wedding, where we became recurring background characters, oblivious to the bloodied murder victims that were dragged screaming into the mountainous wastelands. 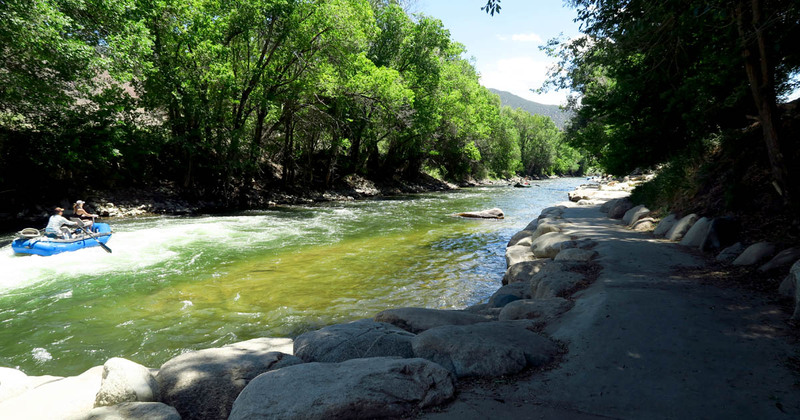 Salida is a small mountain town in the Rockies about three hours away from Denver. We flew into Denver last Friday, rented a car, and made the long trek across the Colorado wastes. I didn’t look at our itinerary at all, so I had no idea where we were going or how far from the airport it was going to be. It was a luxury of being a +1. On the way to Salida, we drove past a wildfire. We watched the plumes of smoke for over an hour before passing it. When we finally got to the Salida, we pulled into our hotel. We stayed at the Baymont by Wyndham. While checking in, we were informed that the Internet was out. Also, the cable was out. Also, there was no cell phone service. Also, there wasn’t much water. And the room smelled like a schlot. That said, the air conditioner worked, as did the bed, and after a day of travel, it was adequate. Around 11 pm, we went to the local Walmart to buy some food. We left with a rotisserie chicken, some broccoli and hummus, and a salad. We swung by the cabin where the wedding was going to take place the next day and ignored the food we bought and fisted pork out of a 4-gallon ziplock bag into our weary maws. I won’t stress you out with the final state of the rotisserie chicken, the broccoli, the hummus, and the salad by saving their fate when they returned in my chronology; we threw them away several days later when we went back to Denver. 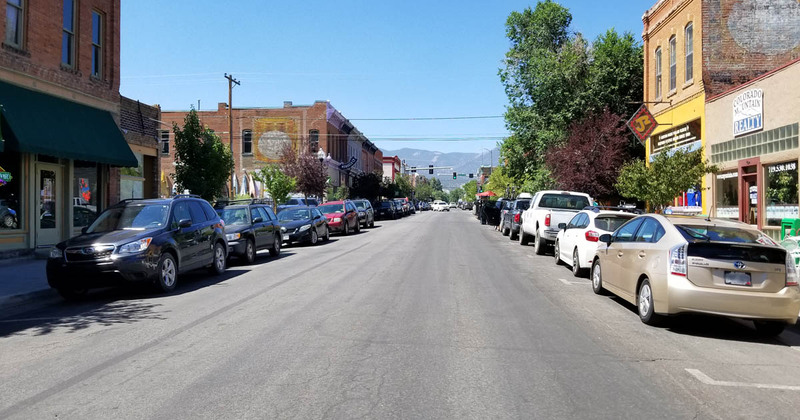 The next day, we wandered around historical Salida. 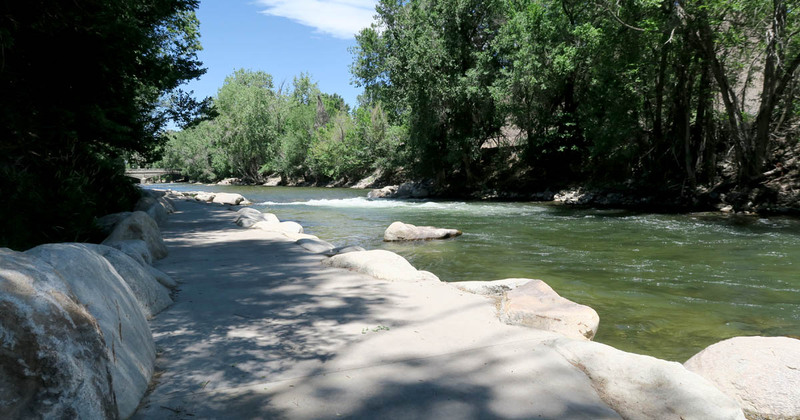 It’s a cute town with a nice park adjacent to the Arkansas River. We hit up some shops, bought some t-shirts, and had some pretty good food that wasn’t a rotisserie chicken, some broccoli and hummus, and a salad. The park had a very well-manicured river walk along the Arkansas River with rafting and tubing. We went back to the hotel to get cleaned up. The shower only had about 5 minutes of pressurized water, with a 10-minute cooldown before it was ready to go again. We can thank this to the mighty Wyndham Wyzard, but I know him better as Tormund Giantsbane. The key cards don’t go into the door locks in the direction the Wyndham Wyzard is indicating. The wedding was pretty. As a +1, my task was to eat food, drink margaritas, and look handsome. I nailed all of those things with high scores.